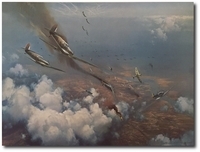 Includes the 18 3/4" x 14 3/4" companion print "Double Trouble"! 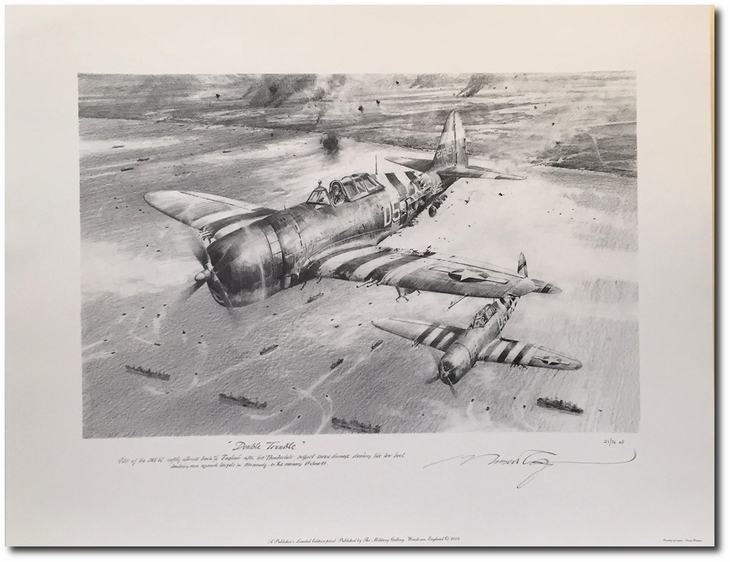 Overall size: 37 3/4" x 23 1/2"
Image size: 30 7/8" x 16"
Includes the companion print "Double Trouble"
6 June 1944. 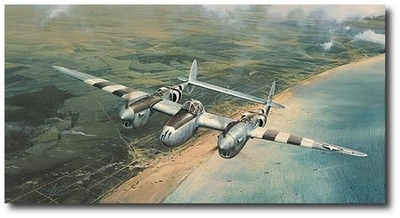 Flying his P-38 Lightning over the battlefront during the early moments of the Normandy landings, Jimmy Doolittle provided General Eisenhower with the first eyewitness report of the D-Day invasion. 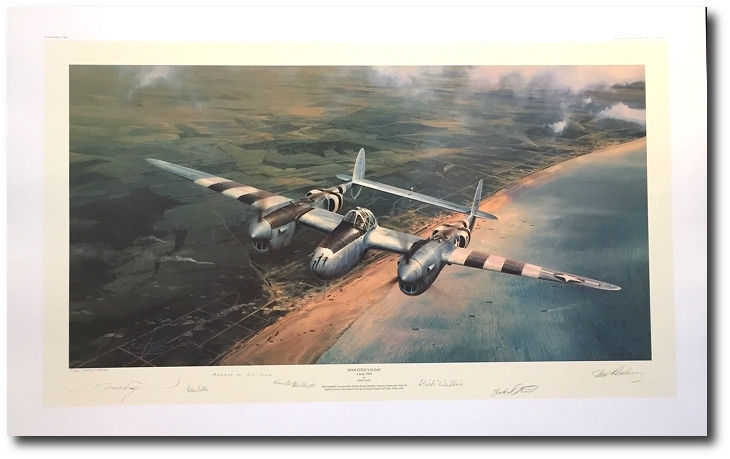 Signed by SIX top P38 fighter pilots who flew combat during the Allied Invasion of Europe 1944 - 1945.